JACKSONVILLE, Fla. — Crown Point Elementary School in Mandarin was briefly placed on a "Code Yellow" lock down after a police chase went through part of the campus Tuesday afternoon, the Duval County Public Schools have confirmed to First Coast News. JACKSONVILLE, Fla. — A student at Mandarin Middle admitted to bringing a gun to school a few weeks ago, according to Duval County Public School officials. Police then checked to make sure there were no guns at the school, and didn't find any, according to a letter sent home to parents on Friday. The preliminary investigation shows that no students were put in harms way. Police and school officials ask that parents talk with their children about the dangers of firearms at Duval County schools. 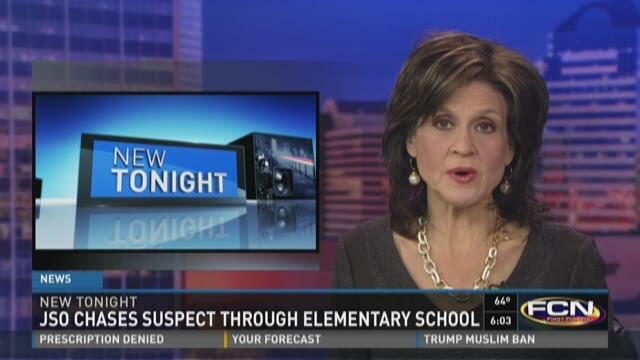 No information was released regarding the student that brought the gun to school. JACKSONVILLE, Fla. -- Deep Bottom Creek is no longer deep, it's shallow. "It is a mess," said resident Frank Peterson. 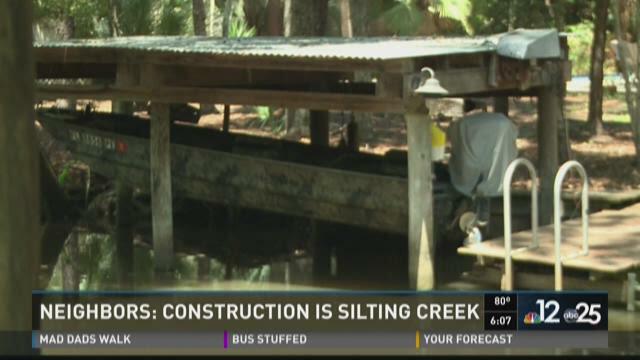 There have been historic concerns about the condition of the creek, but the recent widening of Interstate 295 seems to have made matters worse. ""When we have a rain all that dirt from I-295 goes into a retention pond," said Peterson, "it can't hold it and so then it starts overflowing, coming down the creek." Four years ago, Rick and Roslyn Karstedt purchased a home near the creek. There was a problem then but they say it has gotten worse. JACKSONVILLE, Fla. -- Jacksonville Fire Rescue knocked down a fire at a Mandarin billiards hall apparently started while the owner was making repairs to the building's roof Friday morning, authorities said. Firefighters were called to the business, located at 3853 Old St. Augustine Road, about 9:30 a.m., according to JFRD. When they arrived, they found the roof in flames. Firefighters were able to quickly bring the fire under control and put it out, Battalion Chief Neal White told Ken Amaro, adding that much of the damage was to the roof. "The business owner, I believe, was doing some repair work on the roof with a torch and started the roof on fire," White said. It's believed the owner was making repairs to damage caused by last week's storms. JACKSONVILLE, Fla. -- An anonymous tip led to a list of drug charges for a local man after investigators uncovered the remnants of a meth lab inside a Mandarin home Tuesday. 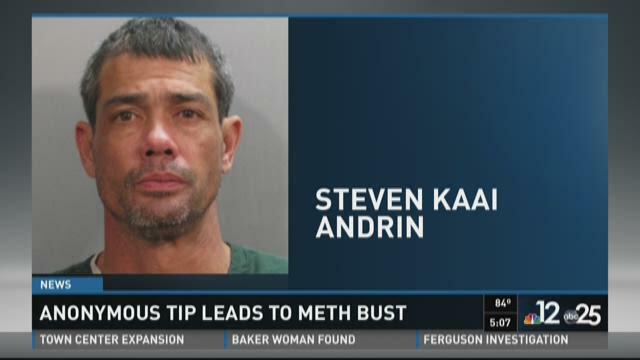 Steven Kaai Andrin, Jr., 45, is charged with manufacturing methamphetamine and possession of a controlled substance, both felonies, along with misdemeanor marijuana and drug paraphernalia charges, according to an arrest report obtained by First Coast News. JACKSONVILLE, Fla. — A local sheriff's deputy was injured Monday morning after a traffic crash in the Mandarin area of Jacksonville. It happened at approximately 7:30 a.m. at the intersection of San Jose Boulevard and Loretto Road. A marked cruiser from the St. Johns County Sheriff's Office and a small sports car were involved. The deputy's injuries are not believed to be serious. The condition of the other driver has not been released publicly. Both vehicles sustained extensive front-end damage. The second car ended up crashing into a utility box, which knocked out power to the traffic signals. The Jacksonville Sheriff's Office was needed to direct vehicles until power was restored. The cruiser ended up blocking one of southbound traffic on San Jose, which led to significant delays.